Firstly, if you haven’t kept up, please read about changes in Stone Soup at this post. If you are a Stone Soup subscriber, please also see the Stone Soup News section, below. 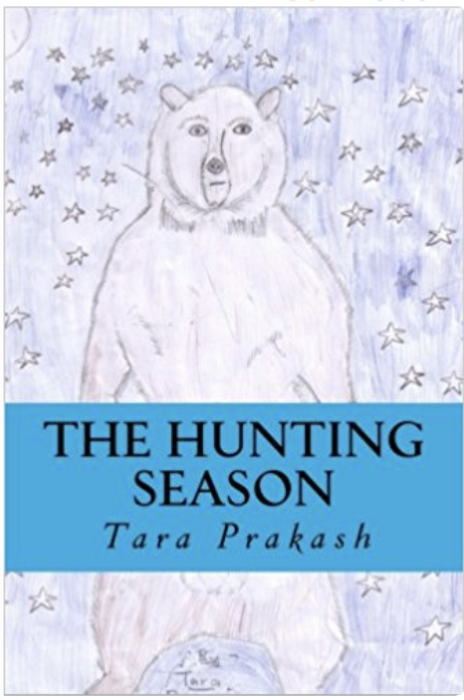 Tara Prakash, a longtime Stone Soup reader and Stone Soup honor roll writer, has written a novel, The Hunting Season. As a book author myself, I can assure you, nothing makes the work of writing more rewarding than people buying your book. I encourage each of you to buy Hunting Season. It is available at Amazon.com. I am buying Tara’s book for my daughter as a present for her eleventh birthday. We will be on a camping trip in the high Sierras then—the perfect place for my daughter to read this book rich with bears, wolves, and nature. I’d like to point out the fantastic depth and energy that Tara brings to setting the scene. Note how she uses original language like “splintered” and “rusty.” This is written from the heart. It is brilliant. Just look at these two sentences: “The birches and aspens glowed yellow, holding a cheerfulness of their own. As winter exploded into spring, flowers bloomed and grass turned lime green.” Her description here of the changing season is bursting with its own energy. 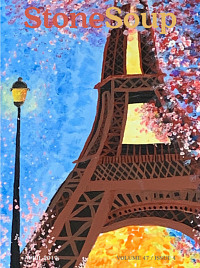 It conveys the excitement and dynamism of nature. 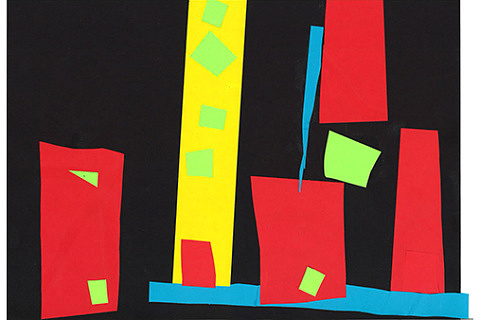 And why not also do some descriptive writing of your own? If you are in Stone Soup‘s age range (age 13 and under) then please submit descriptive nature stories—and they can be short, even a page or less—through our regular submissions channel via the button below. This is summer, the perfect time to go outdoors, find a beautiful spot, and write. I would like to encourage you try to get an adult in your life—a parent or a grandparent, for instance—to sit with you and also to write. Parallel works—one by you, the young writer, and one by your adult—should be sent to me by replying to this newsletter. Joint child/adult submissions will probably not be included in Stone Soup, but I might find a way of publishing a few of them on the website. I am in London today—one reason this newsletter is a day late, for the second week in a row. Soon after I return to California next week, I am going on a camping trip with my daughter. Thus, I will not be replying to emails generated by the newsletter until mid-August. As regular readers know, our last print issue was the May/June issue. We have sent letters to all subscribers helping you convert to digital subscriptions. The system we set up was, admittedly, a little clunky. We will be sending a revised procedure to those of you who did not open the first letter. I know some of you have been taken aback by the conversion to digital. Fortunately, the vast majority of letters were supportive. For those of you still on the fence, let me put it this way: I was twenty when I thought of the idea of making Stone Soup; I now have a social security card in my wallet and grey hair. When Stone Soup was started there were no personal computers. The internet was literally two decades away! Two decades! For those of you who remember back then, before email and websites, our (paper) mailboxes were full. Times have changed. I am asking you to help us make Stone Soup the magazine for our 21st century children. If you have more questions, please read what I have posted about the change here. We are now a digital magazine with a print annual, and we are looking forward to rolling out a number of exciting changes in the coming months. Horses, horses, horses. There were so many horses! Valery wondered which one would be hers as she gazed over the crowd of them. She had waited so long for this day. Today was her tenth birthday, and her parents had finally given in to Valery’s pleas to let her adopt a horse. There was a local horse carnival in town, so Valery and her mom had gone. “Do you want to go see the Pony Parade? It’s starting in five minutes,” Lucia, Valery’s mom asked. “I want to keep on looking for a horse, Mom.” Valery shook her head. “Can I look for a horse alone while you watch the show?” Valery offered. 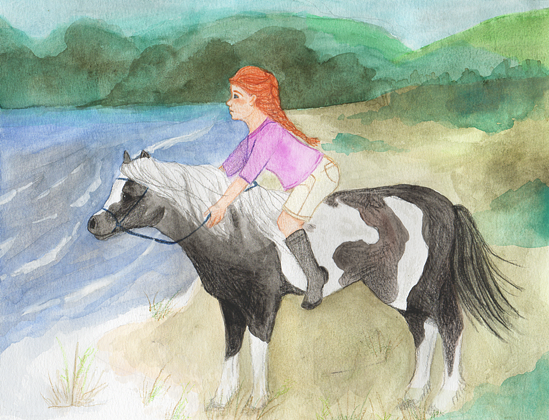 “Thanks, Mom!” Valery called as she walked towards a large bay horse. The sun was starting to go down into the trees, and darkness was falling. “How much is he?” Valery asked the horse’s owner as she patted the horse kindly. He was a bit old but looked friendly. “Four hundred dollars,” the woman answered.